Place of birth of all winemaking is the Mediterranean. 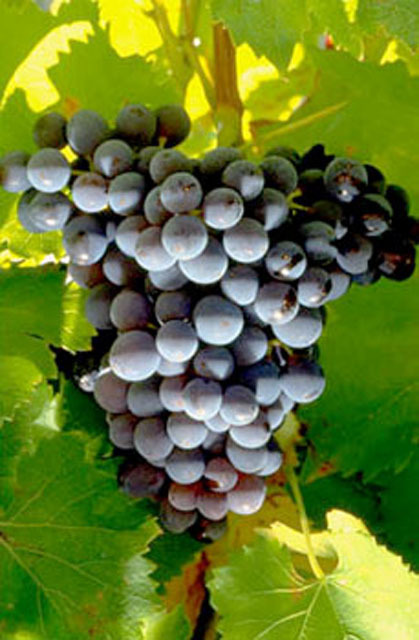 We have traces of winemaking back to 5000 B.C. in Phoenicia , Georgia (Eurasia) and Greece. Phoenicians and Greeks were very courageous people, daring to go along the coastline, moving more westwards and made new settlements. Marseille was founded Greeks. Cartage, by the Phoenicians. With that , they brought us the knowledge how to make wine. We think that we started with four or five basics grape varieties. As they have been moving along, over thousand of years, they were able to adapt themselves in their new proper environment , and that’s why we have a large number of grapes. More than 7000 and we know about 2000 that we make wine from. Of the most primitive form of grapevine, the colour is always dark (red). That we have white grapes is a spontaneous mutation of nature it self. Like having people with no pigments. Where we find a great concentration, of the same species, being “red and white”, we say most of the time: “This could place of birth if this variety”. But on Sardinia, Italy, they have a bold saying that their history of Greanche is going back to 3000 years. Here they call the grape Canaou. Now as the red and white were standing wildly among each other, the did “cross-pollinate “ and made a third version which we call the Grey or Gris in French language. Stays pink or rustybrown. Pinot noir, Pinot blanc and Pinot gris (Pinot grizio, Ita) as we have Grenache red, Grenache white and Grenache gris. So some grapes exist in all three versions. “Could we grow, all three colours on one vine” ? “Yes, we can , it is just a matter of grafting on the mother vine, some buds of the other species and they could go together. The Roman Empire was certainly one of the propulsion factors of making, consuming and lively trade with wine , which was possibly throughout the building of roads and bridges and administrative skills. The Roman empire collapsed after about 300 to 400 A.C, and particular for the region of what we call France , is a changing battle field going on over 500 to 60.0 years, with armies , that were just stealing and robbing from you what ever they could. Monks do a huge amount of research on plant and animal live, and the Popes from Avignon did like to party so once and a while. In the Popes Palace in Avignon we have found traces of a meal, for 2000 people at once. They sure needed some wine . But you must imagine, that it was until early 1900 that the south part of France , was pretty poor agricultural land. Mixed farming, having 5 goats and 20 sheep, making olive oil, growing vegetables, making wine in very tough rural circumstances. The people had literally not much to eat. The real people within the “wine-trade” , were the people from Bordeaux and Burgundy. Putting these wines in barrels , on ships and brought them over the world and over Europe. But when they had a year with not such a good vintage, they came many times to the south part of France and bought the wines. By the favourable weather circumstances , we had wines in the south which were dark in colour, strong in alcohol , and the were mixed in the Bordeaux or Burgundy wines. Sort of a “Push-up bra effect”. But there is a time in the 1920’s , that they start to realise; “ Why should we let our selves, selling these wines away?”, “Why not elaborating the wine in our region”? And than in the 1920’s, each and every village starts to build a “ Cave Cooperative”, so people reunite forces and money to make the wine themselves and to sell for better prices. And that sets a whole other “thinking” in the mind of the people. All of a sudden, they see; “You can make money , WITH WINE”, and slowly we start to extend our land into more vineyards.